Do you play chess, or have you ever wanted to learn to play it? Are you trying to improve your current level of play? Well, then perhaps if you improve your ability to concentrate and “see things” ahead of time, you will also see your game improve. They say that chess is the ultimate thinking person’s game. Well, in order to be the ultimate thinking person, you first have to first improve on your level of concentration as well as being able to predict and see the “moves” of the game unfold before they even happen. Even though chess may appear to be a slow moving game based on patience, it is a fast moving thought processing game! 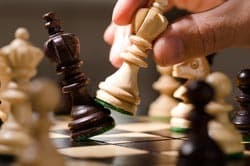 Chess is a game based not only on memory (being able to draw from past experiences and apply them to current games), but also extrapolating and predicting (being able to see the possibility and availability of moves that you and your opponent can/will be making as the game moves along). This means, that you are using both your memory/skills from previous games as well as predictable knowledge – knowledge about chess which is derived from cognitive insights and witnessing collective experiences associated with chess. Those who do well in chess are those individuals who can see the entire board at all times as well as the potential moves one’s opponent can make. Those who do poorly are the ones who usually only focus on their own moves neglecting the potential moves of their opponent. When it comes to chess, it is not only about “playing” your own game, but understanding your opponent’s game as well. By using predictable knowledge, you can start to predict your opponent’s moves going forward after moving your own chess pieces, and predicting how they will respond/predict what you will do. The ability to use predictable knowledge not only requires very good concentration, but also the ability to tap into a “zone” of collective memories that are in the unconscious mind. In order to get to this level of the mind, that is if you are looking to go there to improve your chess game, it is highly advisable to consult with a hypnotherapist for this. The first thing that the hypnotherapist will teach you to do is relax completely and learn to clear your mind of racing thoughts. Often times, when stressed, your mind tends to race, even during a game of chess! Next you will be taught to “see the board” and extrapolate or forecast potential moves your client can or would make. This is done through post hypnotic suggestions you and the therapist work on together. 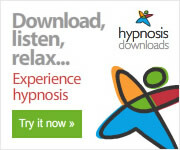 During this phase of the hypnosis session, post hypnotic cues are offered that you will use at later times (when playing chess) to clear your mind and use the abilities of the unconscious collective mind to tap into strategies for coming up with the best possible moves – predictable knowledge. The key is getting into the “zone” and this is what hypnosis will teach you to do. Once you are there, thoughts become clearer and you literally “see” the chess board differently!